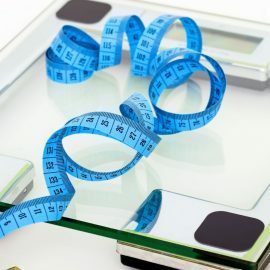 Three recent articles about weight loss and bariatric surgery provide an update for psychologists and therapists who work with people struggling with excessive weight and making behavioral changes to reduce their health risk factors. “Skinny and 119 Pounds, But with the Health Hallmarks of Obesity” was published by the New York Times on 7-21-16. This article reports on body of research about metabolic disorders suffered by obese people, and even if you very rare non-obese people. There is a 40-year history of research in this area, but researchers recently achieved a breakthrough by studying very rare people who are actually underweight, but have severe diseases caused by excess fat in some of their organs. US News and World Report published “Should You Undergo a Mental Health Evaluation for Obesity? – mounting evidence shows a link between the mind and body weight” on 7-14-16. This thorough article reviews several potential ways that mental health problems can create barriers to weight loss, including low energy, discouragement/pessimism, and cravings for high calorie foods. It is a good review of these concepts for health care providers and also could be provided to patients with excessive weight who might benefit from adjunctive mental health services.